I came for a dinner time, and it's packed! Well.. the place are not too spacious though, only 1 shophouse. The interior was dominate with red and white color. Holycow quite famous with their 'affordable' wagyu. Even though we're not sure what grade are those wagyu, but yeah... who cares with grading when we just hungry for steak. 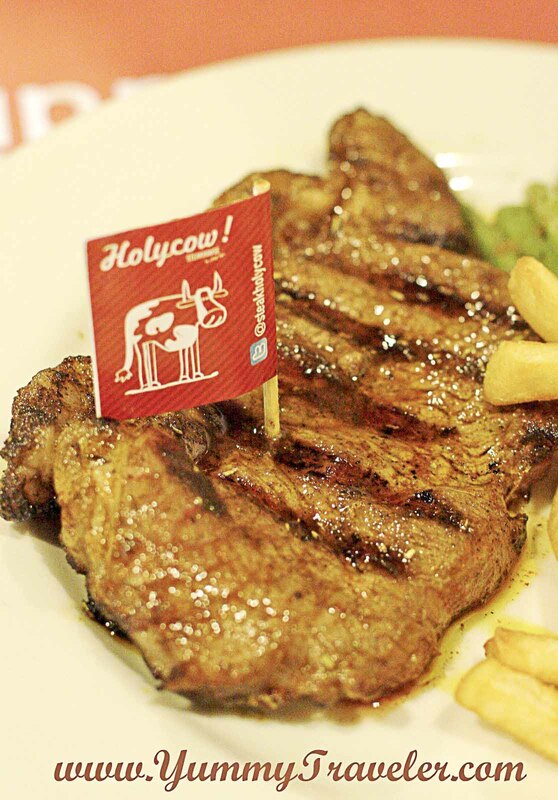 Next is, Wagyu Sirloin - IDR 98.000,-. 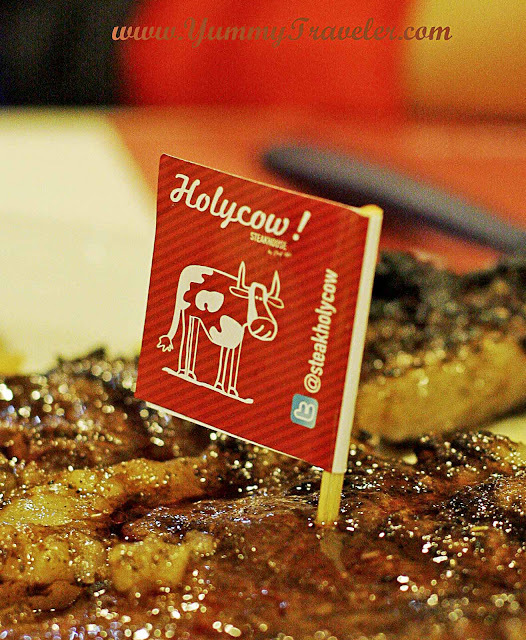 I seriously questioned why they put the name 'wagyu' there if the taste are just same with usual sirloin? haha... Still chewy and oily though. But, one thing I like about their steak is they put some Italian herbs seasonings on it. I have order to the waiter to put moreeeee of the seasoning for the next one. 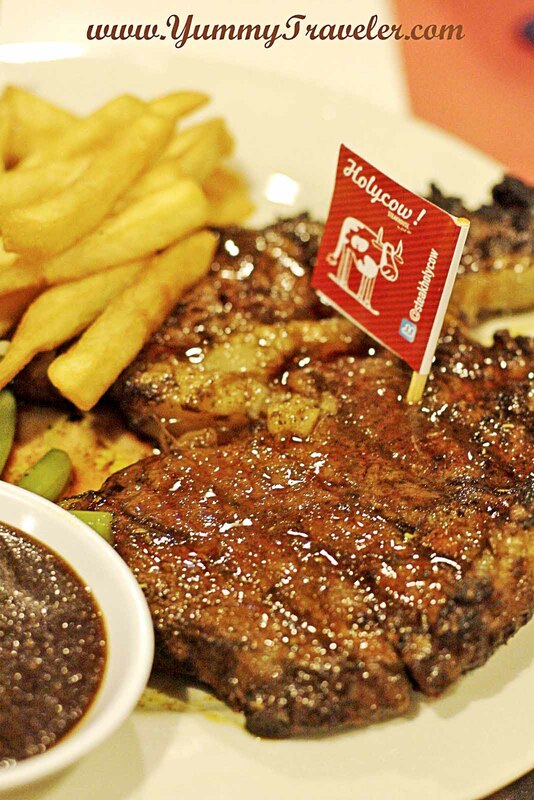 Then, we order Rib Eye Big Bites ( 400gr ) - IDR 100.000,-. I found this quite a nice deal. 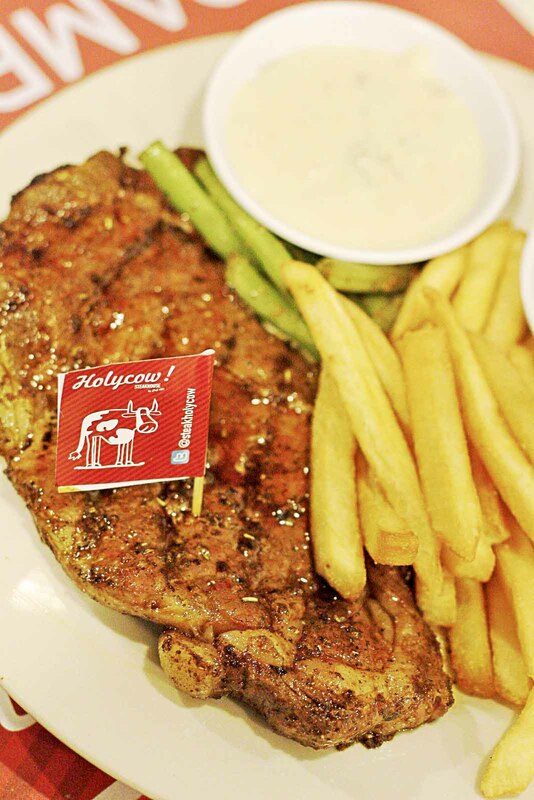 You got a 2 piece of steak and I found that Rib Eye one are more tender than what I have before. And yes, it's taste better with moreee of the herbs seasoning.